(project details.) 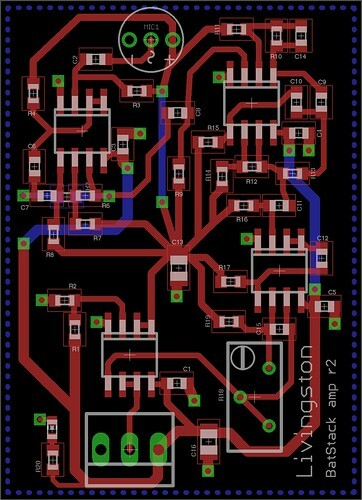 See a sheet of these boards for scale, courtesy of Travis Goodspeed. Based on a design by Murat Aytekin. 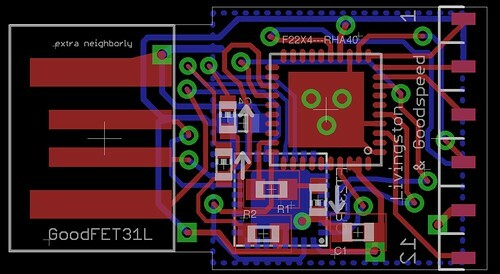 The layout above is for release 2 of the microphone amplifier used in the BatStack project. Where applicable, © 2008-2014 Scott C. Livingston. Page generated 2014-12-01 01:47:33 EST, by jemdoc.